All those sleepless nights are now gone thanks to this announcement. Ever since news of Ed Sheeran’s accident broke out, his fans were sent into complete pandemonium. The incident left the ‘Shape of You’ singer with two broken arms. Fans around the world were anxious and concerned about the singer’s wellbeing since he was scheduled to play a series of shows just days after the accident took place. 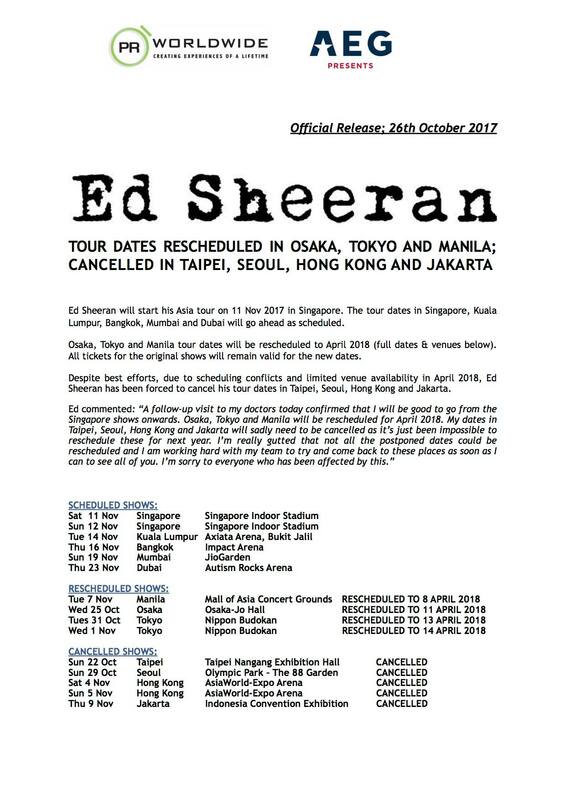 Some of you might have some sleepless nights and even anxiety just thinking about the possibility of him cancelling his show in Kuala Lumpur after cancelling seven shows across Asia. Well your modern-day nightmare or first world problem may have just come to an end as Ed Sheeran has announced that he will be coming to Kuala Lumpur and play his show as planned. The announcement was made via PR Worldwide’s Facebook page. “A follow-up visit to my doctors today confirmed that I will be good to go from the Singapore shows onwards,” the British singer-songwriter said in the statement. A mixture of relief and excitement echoed Malaysian fans as they took the news with delight. Well guys, hold on to your tickets as your favourite ginger lad is set to croon us with his sweet notes this 14 November at the Axiata Arena, Bukit Jalil. 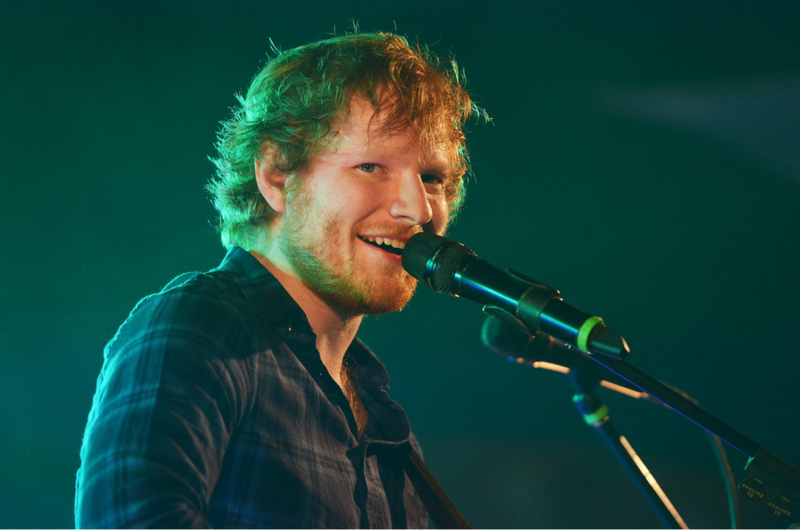 Let's wish Ed Sheeran a speedy recovery so that we'll be able to enjoy a 'Perfect' night at his concert.